The articles in this volume were published on my blog, Greater Surbiton, since its launch in November 2007. Although Greater Surbiton was devoted to a number of different themes – including the southern and eastern Balkans, Turkey and Cyprus, Russia and the Caucasus, the meaning of progressive politics and the fight against Islamophobia, anti-Semitism and other forms of chauvinism – Bosnia-Hercegovina and the former Yugoslavia were at all times central to it. Twelve years after Dayton, when the blog was launched, the war over the former Yugoslavia was being waged as fiercely as ever – not on the battlefield, but in the realm of politics and ideas, both in the region and in the West. Genocide deniers and propagandists who sought to downplay or excuse the crimes of the Milosevic and Karadzic regimes of the 1990s – people like Diana Johnstone, Michael Parenti, David N. Gibbs, Nebojsa Malic, John Schindler and Carl Savich – continued their ugly work. Yet the ongoing struggle to counter their falsehoods was just one front in the wider war. The period since 2007 has witnessed the rise of Milorad Dodik’s separatist challenge to the precarious Bosnian-Hercegovinian unity established at Dayton, and the consequent degeneration of the post-Dayton political order in the country; the declaration of Kosovo’s independence and Belgrade’s efforts to derail it; the struggle in Serbia between reformist and nationalist currents; the increasingly aggressive challenge of Russia’s Vladimir Putin to the West, manifested most starkly in the attacks on Georgia in 2008 and Ukraine in 2014, but also in support for Belgrade over Kosovo and for Dodik in Bosnia-Hercegovina; the increasingly apparent failure of the International Criminal Tribunal for the former Yugoslavia to punish adequately the war-criminals of the 1990s, despite the spectacular arrests of Radovan Karadzic in 2008 and Ratko Mladic in 2011; and the increasingly stark failure of Western leaders to confront murderous tyrants like Putin, Sudan’s Omar Hassan al-Bashir and Syria’s Bashar al-Assad – reminiscent of their failure in the 1990s over Bosnia-Hercegovina. Today, the truth about the war in the former Yugoslavia is more widely known and understood than ever. 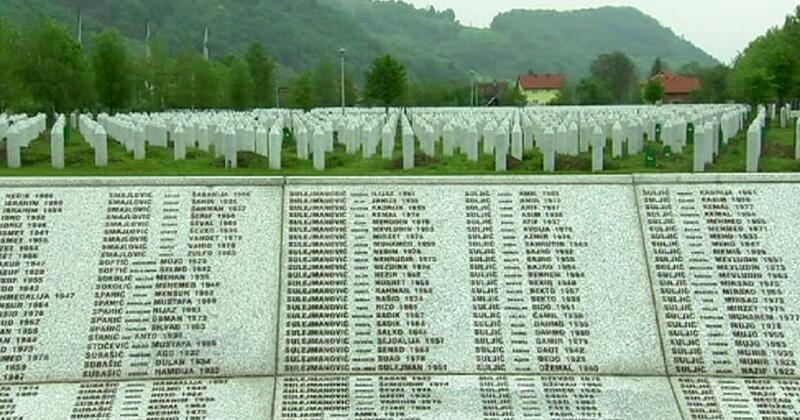 The battle for the recognition of the Srebrenica genocide worldwide has largely been won; the remains of most victims of the massacre have been identified and reburied. The deniers and their narrative have been largely discredited. Yet the Bosnian question is further from a happy resolution than ever, while the West – the US, EU and their allies – look less likely to lead positive change in the region than they did a decade ago. Kosovo’s full international recognition is still being blocked by Serbia and Russia; Macedonia, kept out of the EU and NATO by Greek nationalist intransigence, is in crisis; not a single official of Serbia has yet been found guilty by the ICTY for war-crimes in Bosnia-Hercegovina, or is likely to be in the future; and leading former-Yugoslav war-criminals such as Biljana Plavsic and Momcilo Krajisnik have been released after serving short prison-terms in comfortable conditions. The outcomes of the struggles tracked by my blog have therefore been far from unambiguously happy. Yet the politics and recent history of Bosnia-Hercegovina and the rest of the former Yugoslavia are much better understood than they were a decade ago; new generations of scholars, analysts and activists are discovering and explaining more all the time. I hope that the articles contained in this volume have made a contribution to this process of discovery. Almost anyone who has followed events in the former Yugoslavia since the war of the early 1990s is likely to be aware of who the Ustashas were, and to know that they carried out genocide against the Serb, Jewish and gypsy populations of their puppet ‘Independent State of Croatia’ (NDH), under the leadership of Ante Pavelic in the period 1941-1945. Yet scholarly understanding of this genocide is still in its infancy. There is no serious general explanatory history of this genocide in the English language, and while a wealth of respectable works on the topic have been produced by native historians in the former Yugoslavia, these have almost invariably tended to prioritise the description and cataloguing of crimes over analysis and explanation. 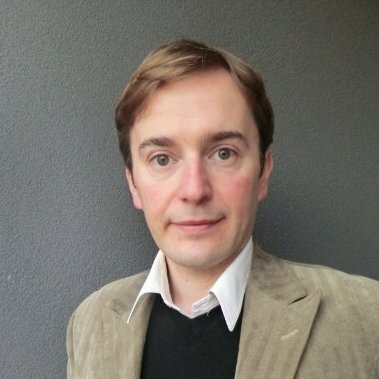 In recent years, serious contributions dealing with particular aspects of the Ustasha question have been made by historians writing in the English language such as Tomislav Dulic, Mark Biondich and Esther Gitman, but it is no exaggeration to say that our scholarly understanding of the Ustasha genocide is considerably behind our understanding of the Rwandan genocide, even though the latter occurred a half century later. Part of the problem is that historians who touch upon the subject have often seemed mesmerised by the sheer horror of the Ustasha regime and its deeds, to the point where their treatment of them has reflected outrage and condemnation rather than the pursuit of intellectual understanding. This, it should be said, is characteristic of much writing on the wars of the 1990s and the Milosevic and Tudjman regimes as well. Nevenko Bartulin’s new book focuses, once again, on a particular aspect of the topic; in this case, the origins and nature of Ustasha racial ideology. One of the strengths of his approach is that he sets out to explode many of the clichés that have bedevilled our understanding of the Ustasha question, but from a rigorously objective standpoint, untainted by any clear ideological or political bias of his own. 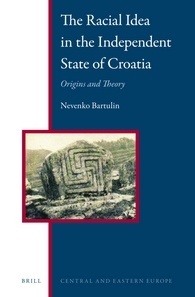 Bartulin is unsparing in his discussion of nineteenth- and twentieth-century thinkers and ideologists of all ideological persuasions, whether Croatian- or Serbian-nationalist, pro- or anti-Yugoslav, including not only the Ustashas themselves but such key figures of Croatian history as Ante Starcevic, Josip Juraj Strossmayer, Stjepan Radic and others, all the way up to the Communists of Josip Broz Tito, whose ideology did not mark such a clean break with what had gone before as might be expected. Bartulin challenges both the idea that the Ustasha ideology was primarily Catholic-sectarian in inspiration, and the idea that it was a copy of Nazi ideology. Instead, he stresses its origins in native Croatian racial thinking going back to the nineteenth century. Paradoxically, while the father of integral Croat nationalism, Ante Starcevic, had slipped into overt anti-Serb racism at times, he had primarily been a civic nationalist; it had been the Yugoslavist-nationalist thinkers who had pioneered racial thinking among Croats, from which Ustasha anti-Yugoslav racial thinking emerged – both as heir and as reaction. Serb-oriented Yugoslavist thinkers like Jovan Cvijic believed in a common Dinaric racial identity of the Yugoslavs, in which the ‘Serbian type’ was the ideal, core component that could assimilate the rest; conversely, anti-Yugoslav Croatian race theory also drew upon the idea of a Dinaric racial ideal, but counterpoised it to a non-Dinaric Serbian ‘other’. Racial Yugoslavism also formed the basis of the ideology of the Croat Peasant Party of Stjepan and Antun Radic. Bartulin quotes the Peasant Party’s official programme: ‘We Croats consider Serbia, Montenegro and Bulgaria as our national states’. The Radic brothers had upheld the concept of ‘a-Semitism’, which meant excluding the non-Slavic Jews from the Croat national movement and from the idea of a racially Slavic Croat nation (but supposedly without active hostility to the Jews in the manner of anti-Semitism), and the Ustashas drew upon this legacy to justify their own much more extreme anti-Jewish ideology. The Ustasha regime celebrated the Radic brothers as national heroes, but not Josip Frank – leader of the anti-Serb Pure Party of Right, traditionally viewed as the precursor to the Ustasha movement – because he was Jewish. The Yugoslav Communists who defeated the Ustashas in the war of 1941-45 also celebrated the Radic brothers as Croat national heroes, and they too embraced a national ideology based upon racial pan-Slavism, but this time directed against the Germans and Italians, which involved ethnic cleansing and persecution of Yugoslavia’s German and Italian minorities following their victory. Murderous and genocidal as it was, Ustasha ideology was not as absolutely racist as its Nazi counterpart. Jews and gypsies (except the so-called ‘white gypsies’) were considered racially alien and subject to racial laws modeled on the Nazis’ Nuremberg laws, though a small minority of Jews were declared ‘honorary Aryans’, so spared persecution. But because the Ustashas considered the Serb inhabitants of Croatia and Bosnia-Hercegovina to be a racial mixture that included Croat elements, they did not entirely consider them as a group to be wholly racially alien, and their policy toward them was characterised by some flexibility. Thus, in addition to massacre and expulsion, Serbs were subject to assimilation attempts, via forced conversions to Catholicism and, subsequently, the establishment of a ‘Croatian Orthodox Church’ to replace the Serbian Orthodox Church on the territory of the NDH. There were three Orthodox generals in the NDH’s Home Guard. Challenging the identification of the Ustashas with militant Catholicism, Bartulin argues that they were in fact not hostile to Orthodox Christianity as such, merely to the presence of a Serbian church on NDH territory, and were genuinely philo-Islamic. The Bosnian Muslims were celebrated as among the racially purest of Croats; Pavelic was ready to anger Catholic opinion by establishing a mosque in Zagreb. Nevertheless, the Ustasha regime preferred to force Serbs to convert to Catholicism rather than Islam or Protestantism, for fear of strengthening the Muslim autonomist movement and Volksdeutsche community respectively. Bartulin therefore stresses the pragmatic nature of the Ustashas’ use of Catholicism, though as his study focuses on the Ustasha leadership and intelligentsia, it does not consider the frequently genuinely Catholic-sectarian and anti-Muslim character of Ustasha activity at the local level in Bosnia-Hercegovina. Though Bartulin’s book may be somewhat too monographic to appeal readily to the general reader, anyone interested in the former Yugoslavia would benefit from reading his exercise in cliché-busting. With all the lazy binaries – Serb and Croat nationalist; pro- and anti-Yugoslav; pro- and anti-Communist – it is refreshing to read a work that stresses just how many common assumptions were shared by the various ideological currents and political groups; even by those that were mortal enemies.